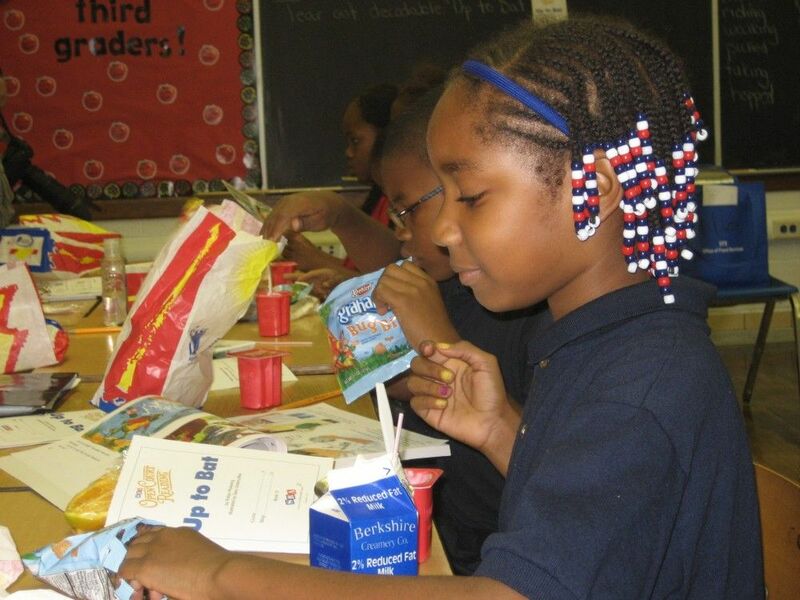 Detroit Public Schools Community District (DPSCD) knows that healthy eating helps to create healthy minds and bodies. The Office of School Nutrition supports the educational development of our students by providing healthy breakfast and hot nutritional lunch to all students in grades K-12 at no charge. On-site preparation ensures that meals are served hot in compliance with federal, state and local health department regulations. All menus adhere to the guidelines of the United States Department of Agriculture (USDA). The Office of School Nutrition serves more than 85,000 healthy meals daily. 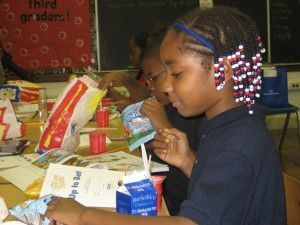 Detroit Public Schools Community District was the first school district in the country to make the free Universal Breakfast program available to all students. Breakfast meals are served at the beginning of the school day either in the classroom or the lunchroom. Numerous studies continue to show a direct correlation between eating breakfast and improved learning, and overall student performance. In a 2010 report issued by the Food Research Action Committee, DPS ranked #2 in the nation for feeding the largest percentage of at-risk students. DPSCD provides free, freshly-cooked food items to all students in grades K-12 through our Heat & Serve Program, where meals are heated, served fresh and hot on-site to students in every school. Our menus include a healthy array of fresh fruits and vegetables, whole wheat/whole grain breads and pizza, low fat and low sodium meat, meatless options, 100% fruit juices and 1% or fat-free milk. DPSCD offers free, healthy “At-Risk, After-School Supper Programs” throughout the district in support of after-school tutorial and enrichment programs. This direct meal service program ensures City of Detroit youth are protected from hunger. The Detroit School Garden Collaborative (DSGC) is a Farm to School initiative sponsored by the Detroit Public Schools Community District’s Office of School Nutrition, Office of Science, Facilities and Site Management. Its mission is to establish an organizational structure which is effective, efficient, accountable, and supports school community garden maintenance and sustainability in support of healthy school food and academic achievement. This collaborative is possible, primarily, because of the Healthy, Hunger-Free Kids Act of 2010. Detroit Public Schools Community District, along with community partners, in 2012 kicked off an extensive Farm-to-School initiative that will create school gardens throughout the city. 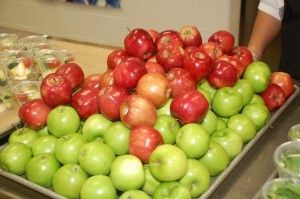 This program expands teachers’ access to real-life laboratories to teach students about healthy eating, nutrition, and concepts around growing food while increasing schools’ access to fresh fruits and vegetables. Each site features raised beds constructed by students from Drew Transition Center. This revolutionary project makes DPSCD one of few school districts nationally in which food services, site management, and curriculum are working collaboratively to ensure students are able to learn academic content in a real-world context related to gardens. Exposing students to the science behind a productive garden, and encouraging science experiments in the garden, also seeks to advance students’ interest in science as a hobby or career. Drew Farm consists of a 2 acre farm and six 96-square-foot hoop houses which produces thousands of pounds of various greens, root vegetables and other produce. The farm’s crop plan is incorporated into Detroit Public Schools Community District’s lunch menu. The new agricultural campus creates a sustainable community development program that provides access to healthy foods, employment opportunities and quality of life enhancements for students, families and community stakeholders in Detroit. That includes the development of eight high-tunnel hoop houses, a greenhouse installation, re-purposing of building space, and redevelopment of land.